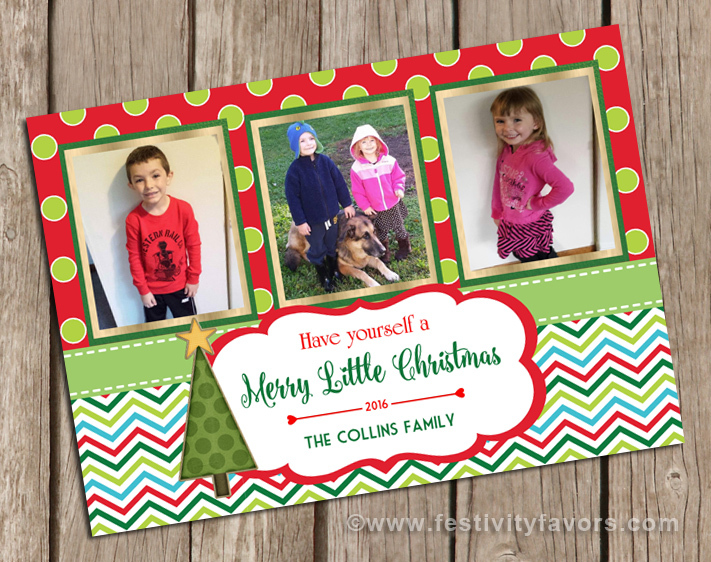 These Christmas photo cards can be personalized however you'd like. Please email me the 3 pictures that you would like on the cards after you make your purchase. 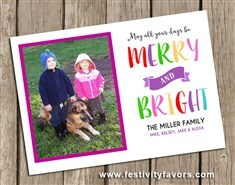 The card is a collage style using primary colors that are done in red and green with a chevron and polka dot background. Please note that these are not printed on photo paper. They are printed on matte white card stock. Wording changes top area of card (if any). Otherwise, will be worded as shown in sample.